A fairy tale image in both color and composition. The flare gives it a special touch Jacki. 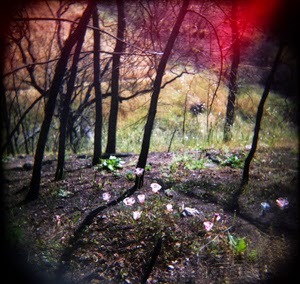 That red makes me think of autumn rather than light leaks. Wowow!!! those colours are brilliant! Great composition! Love the light leak, it adds to the fall feeling!